Ready in May. 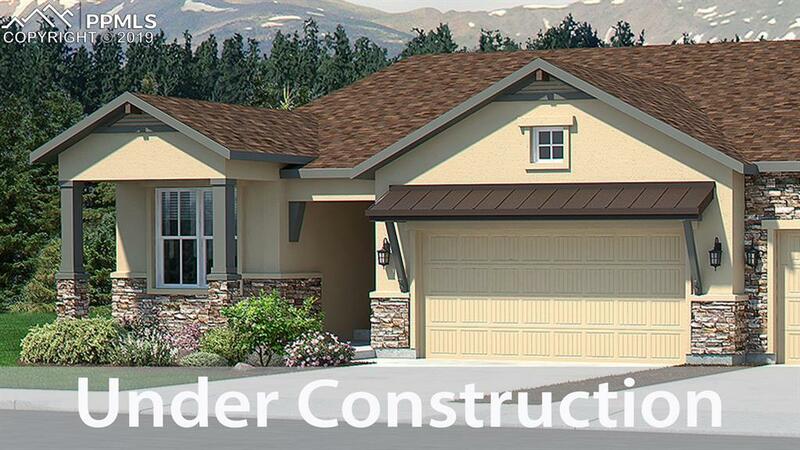 Avondale paired patio ranch plan with 2 car garage in Lexington Crossing at Briargate. 4 bedroom, 3 bath home. Kitchen features hickory cabinets, granite counters, stainless appliances with gas cook top. Wood shelving in closets. Includes air conditioning. Finished basement includes 1ft. taller ceilings, wet bar, plus 2 bedrooms, 1 bathroom and recreation room. Exterior living includes expanded patio and iron fencing. Filing 1 | Lot 17 is 5042 sq.ft.Taxes shown do not include value after home is assessed on land.